I call this painting ” Emily with roses”. I exhibited it along with several others more than a year ago at a local show in the west island of Montreal. My mother Ethel Chorney was an accomplished China porcelain painter with her own kiln and I grew up admiring her work. 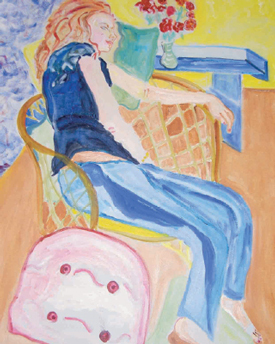 I began painting almost thirty years ago.